Accredited by the globally recognized Association of MBAs (AMBA), our Full-time MBA will give you the understanding, knowledge and confidence to challenge conventional thinking and stand out in today’s fast-moving business world. The next programme will begin in September 2019 and runs for 12 months. 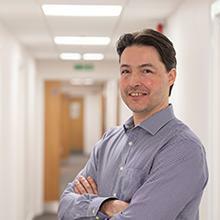 The Southampton Full-time MBA focuses on leading people and organisations to face the critical challenges of sustainability, innovation and change in today’s highly volatile and uncertain environment. 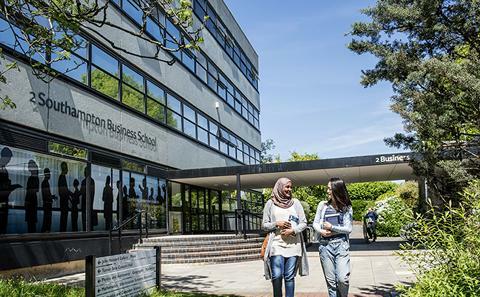 The Full-time Southampton MBA is delivered over one year (12 months), which runs from September to September, with classes taught over three to four days a week. The taught modules occur from September to June and then there is 3 months for the Business Project, during which time you will be assigned an individual supervisor. The programme is designed for graduates with at least three years’ work experience in a role that involves supervising or managing others, structuring information to support commercial decisions and analysing data in complex and dynamic environments. By developing your analytical, strategic and leadership skills across all business disciplines, you will gain a more holistic view of management and leadership, which will propel your career to new heights. In Stage 2, Mastering Complexity, you will build on the learning in Stage 1 and learn more complex skills in strategy and decision-making, business analytics and risk, leadership, sustainability, innovation and change. In Stage 2 you will also choose your optional modules. Each pathway contains the same nine core modules from stages 1, 2 and 3 of the programme. You will therefore cover the core areas of business and management, as well as doing TWO optional modules in your chosen Pathway. Full-time applicants must also have a minimum of three years of professional work experience. Work experience must be relevant to a management, business or professional function and include suitable levels of analytical work and show evidence of career progression and supervision/management of other people. Examples of suitable roles are business manager, project manager, business analyst, professional engineer, accountant, head of function/department, or CEO/business owner. Evidence of international working, cross-cultural teams and stakeholder management is highly desirable. Participants are typically aged from 26+ and their first degree subjects include science, engineering and humanities as well as business studies. The full-time MBA is designed for graduates who have a minimum of three years' relevant work experience since graduation and who now wish to pursue a challenging programme of study to develop their managerial potential. Your application to study the full-time MBA course will be carefully considered by a specialist member of academic staff who will weigh up many factors; not only your academic achievements, interests and aptitudes, but also your motivation and your referee's confidential report. The University of Southampton confirms its commitment to a comprehensive policy of equal opportunities for students in which individuals are selected and treated on the basis of their relevant merits and abilities and are given equal opportunities within the University. The aim of the policy is to ensure that no prospective student should receive less favourable treatment on any grounds that are not relevant to academic ability and attainment. The University is committed to a programme of action to make the policy fully effective. The Southampton MBA has generous scholarships up to £6,000 available for our Full-time MBA programme. The above scholarships are automatically awarded where you meet the criteria, so you do not need to apply for the scholarship separately. The deadline to submit your application to study the MBA is 30 July for September entry. For University of Southampton alumni, a further 10% discount will be made to tuition fees after all applicable scholarships are applied. The Full-time MBA attracts managers from across the world. They come from public and private sector organisations, including the financial, oil and gas, IT, telecoms, manufacturing, health and service sectors. Working closely with a highly diverse, international cohort will enrich your experience further and give you a valuable insight into different business cultures. To help you plan your next career steps, the Southampton MBA includes a Leadership Development Programme (LDP). As well as one-to-one sessions with your independent coach, the LDP includes a series of workshops tailored for MBA students and delivered by the University’s Careers and Employability Service. You’ll also have access to worldwide MBA-level employment opportunities and recruiter fairs. Every year we host a series of guest speakers from a range of industries to talk about employment-related topics. The Global Business Environment module includes a residential course in Europe where you will visit businesses and government organisations that are working in a global context. In the Leading Sustainability, Innovation and Change module you will have the opportunity to apply your knowledge in a ‘live’ international consulting project with a real company in South America. In the final ‘capstone’ Business Project you will undertake individual research on an organisation or sector of your own choice.